During the month of July, you can control pests in the garden by planting flowers that will attract beneficial insects. This will increase your population of beneficial insects such as lady bird beetles, lacewings, and others, to decrease the “bad” insect population. This is a great way of decreasing the need to use chemical pest controls. Irrigation systems should be checked for leaks, breaks, and output efficiency to prevent water waste, decrease water bills, protect plants from summer heat, and provide adequate water for the garden to thrive. You would be surprised to see how much you can save by using water wisely, maintaining your irrigation system, and ensuring that you have 2” of mulch (bark) in planter beds to reduce evaporation. Assist trees through the dry season with deep root watering. Pay special attention to avocados and citrus. Their shallow roots require more frequent watering. Ideally, this should be performed approximately once per week. Also, increase the frequency for irrigating container plants. As a general rule, a small pot will lose moisture faster than a large container. Below are some examples of what type of annuals and perennials to plant for the month of July. Sunny spots– Portulaca, Verbena, Lobelia, Petunia, Marigold, Asters, Rudbeckia daisy, Echinacea, Gaura, and Yarrow. Shady spots– Begonias, Coleus, Impatiens, Lobelia. Vegetables– Beans, tomatoes, summer squash, beets and chard. These can be started by seed and are fast growing. Start to plant lettuces, spinach, radishes, kale, leeks, carrots, and Asian delicacies like pakchoi. Herbs– basil, oregano, chervil, parsley, rosemary, sage, savory, and thyme. Sow seeds for dill and cilantro. Whether it’s a spot planting, full landscape, replacing lawns with drought tolerant plants or simply a walk-through consultation; don’t forget about our in-house designers. 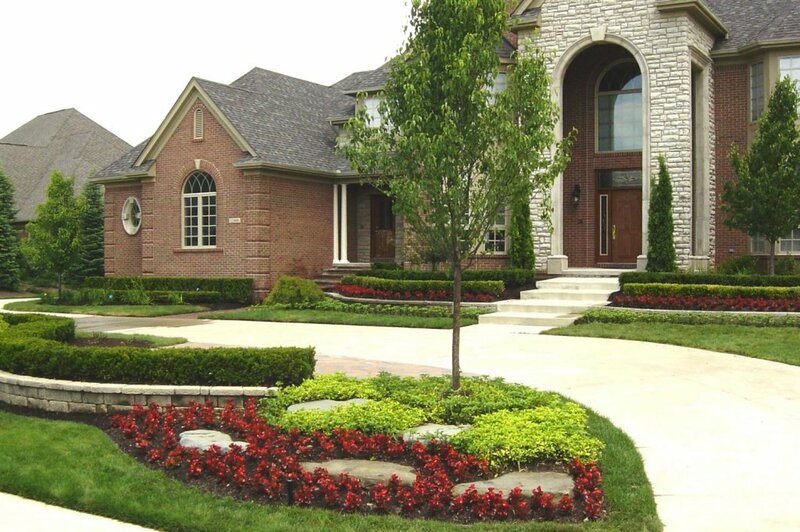 Call for a free initial consultation to see what you can do to increase the aesthetics of your landscape.